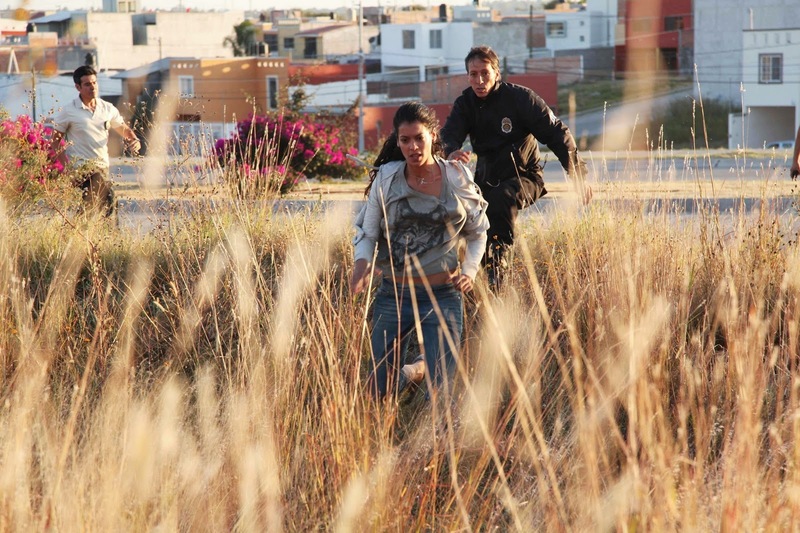 The clash of situations is at the heart of Miss Bala, a Mexican crime saga from director Gerardo Naranjo. Laura, a young woman who has been forced to help a powerful drug lord, watches as a DEA agent is run over, dragged through the street, and hung over a highway. The drug lords then take her to a fixed beauty pageant, where the bright lights practically blind her and the atmosphere promises youth, beauty, and love, which couldn’t clash more with the men controlling her lives. But clash is also one of the fatal flaws of this gorgeously shot but somewhat hollow film. Mr. Naranjo made a huge splash at the New York Film Festival in 2008 with I’m Gonna Explode, a unique exploration of youth and class with the powerful energy adapted from Godard’s Pierret Le Fou. Here, Mr. Naranjo is in somewhat stripping down the crime thriller to its essentials—another NYFF hit, Gomorrah, might be this film’s distant cousin—though it indulges through its camera. The outcome is a somewhat mixed result that may interest audiences with its bizarre but true story of a beauty queen involved in the drug war, but rarely finds a uniquely statement on the terrible situation. Problems begin to arise from the beginning as soon as we meet Laura, played by the beautiful Stephanie Sigman. Living in Baja California with her father and brother, Laura has dreams of becoming a beauty queen. But following a friend to a rather sketchy club one night, she becomes witness to a shooting massacre. Looking for her friend, Laura instead finds herself a pawn in the schemes of a powerful cartel, and the object of desire for its powerful leader (Noe Hernandez). But then the film plays fast and loose with Laura. Is she trying to escape? Does she complicity go along? The script provides Laura with a number of “outs” so to say, which she ends up refusing, or only mildly trying at. This wouldn’t be a problem so much if Mr. Naranjo committed to one way or the other, but the half-side complexity creates a character without any sense of motivation, despite Ms. Sigman’s attempts to create a three dimensional character. What Mr. Naranjo unfortunately seems more involved in is his cinematic scope. Adapting from De Palma, Socrsese, and Michael Mann, Mr. Naranjo uses a series of breathtaking cinematic long takes to create a sense of reality. Often shooting his protagonist from behind her back, the camera glides along in an unflinching matter, and one particular long shot during a cartel battle with police is bravura filmmaking. Almost too bravura, however. Mr. Naranjo explained that he wanted to make a film that showed the drug war in a unique light, and perhaps the films and telenovelas that play in his home country don’t give the same perspective we often see on the news here. But Miss Bala never really explains the issues at the heart of the drug war; it seems perfectly content on its limited perspective of Laura, who is a victim of the war, but provides no perspective into what we really need to understand. 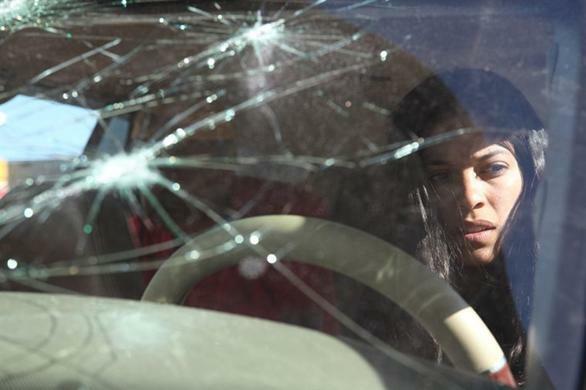 One might suggest Traffic then as a more nuanced film that gives a wider breadth of the drug war (as well as a number of cinematic flourishes), but Miss Bala at least begins the conversation of filmmakers from Mexico exploring their difficult circumstances to the world. Mr. Naranjo is a filmmaker with an eye for visual flair and detail, and his cold approach to the subject seems ripe for a complex understanding of how the drug war has destroyed millions of lives in Mexico. It’s unfortunate that Miss Bala never delivers on that promises, as this rags to deceitful riches story seems like it should provide a powerful punch to the human realities.